It’s sunny inside and outside the Igloo! Here at Igloo Coworking our member GeoGRAFI have had a tremendously busy few months. The focus has been on expansion and after securing inward investment from the North West Fund for (NW4VC) they have been able to acquire a complementary business in Stockport-based Mobile GIS Services (MGISS). This significantly extends their customer base into across existing and new markets, alongside key supply chain relationships in Digiterra Software, Trimble Mobile Computing Systems, and Spectra Precision. What this means is more choice for their customers and exciting opportunities for innovation. MGISS look forward to introducing some new solutions and software platforms very soon. Also coming soon is the Spike product for 3D measurement on your Smartphone. We also have a brand new VOIP telephone system installed in the office and a dedicated office number which is 0151 329 0820. Kate Darracott now heads up the office team and is the friendly voice you will start to hear at the of the phone. 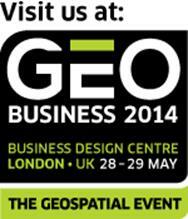 Finally we are exhibiting at the upcoming GeoBusiness event at the Business Design Centre in London on 28th-29th May, partnering our key suppliers Spectra Precision and Digiterra. It would be great to see you there and we are on Stand C2. Registration, exhibition and workshops are all FREE. As is a warm welcome from us! That’s it for now so hope you can get outside and enjoy the weekend sunshine – we hope to catch up with some more exciting news very soon!